Survey respondents were asked whether they would prefer lower health insurance premiums, Obamacare's preexisting conditions protections to stay the same, or would they rather different preexisting condition provisions be implemented that wouldn't raise premiums as much. In October of last year, the Obama administration announced that Obamacare premiums were set to increase by double digits, increasing at a faster rate than they have in the past. 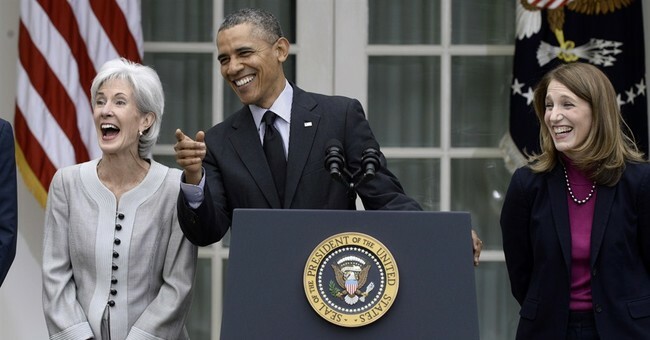 Premiums for the silver benchmark plan are set to increase by 22 percent this year. The plurality, 37.1 percent, said they would prefer lower health insurance premiums. Meanwhile, 26.8 percent wanted to keep Obamacare's provisions the same and 25.8 percent preferred new provisions for those with preexisting conditions that didn't raise premiums as much. About 10 percent were unsure. The plan also addresses the question of consumers with expensive pre-existing conditions. Insurers would be barred from charging higher-than-normal premiums to, or restricting coverage for, customers who have stayed continuously insured. This means that people who have a chronic condition, or have previously battled an expensive disease like cancer, can move freely from employer coverage to the individual market, and vice versa, without penalty so long as they have continued to stay covered. Unlike the ACA, which may be encouraging some young and healthy people to go uninsured (since they can wait until they get sick to buy coverage, knowing that insurers will be legally required to insure them), the House plan provides strong incentives for everyone to stay insured and thus remain under the umbrella of the plan’s “continuous coverage protection” approach. [According to Anderson], Americans still want provisions for those with preexisting conditions. "It seems clear, then—based on the poll's results—that Americans do want preexisting-conditions protections, but they do not want Obamacare's preexisting-conditions protections [to] lead to significantly higher premiums, which they unquestionably do," Anderson says. Anderson's alternative would provide funding for state-run high-risk pools, where no one with preexisting conditions could be denied coverage. Young adults with preexisting conditions could have a one-year buy-in period, in which they could purchase coverage but be exempted from paying more. For those who have kept continuous coverage in the individual market, they could switch to another plan without paying more because of a preexisting condition. I'll leave you with two important pieces from Ramesh Ponnuru, in case you'd missed my links to them in previous posts: One with additional thoughts on how to cover people with pre-existing conditions, and the other laying out the broad strokes of a successful "repeal and replace" roadmap.